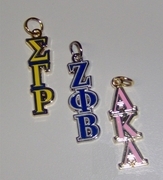 Sorority: choose your groupAlpha Kappa AlphaSigma Gamma RhoOrder of Eastern Star Add Sterling Silver Box Chain? : choose a responseNoYes - 16 inch (+20.95)Yes - 18 inch (+23.95) Add 10K Gold Box Chain? : choose a responseNoYes - 16(+25.00)"
Beautiful and colorful, these cloisonne pendants are the perfect little touch to anything you wear - casual or chic. Add your own chain, or choose one of ours! Each pendant measures about 1-1/2" long. 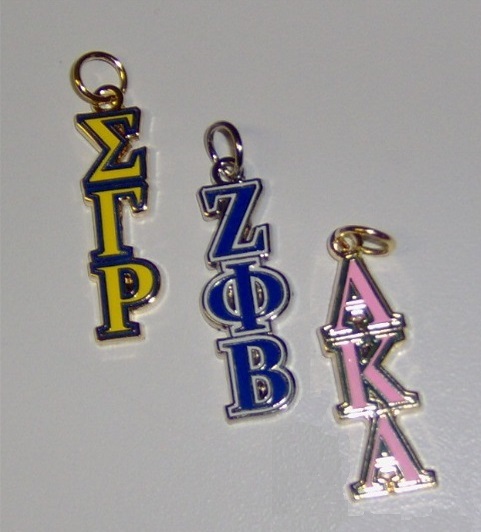 SGRho and AKA pendants have gold accents, and Zeta has silver accents.